Q. What is Yoga Gives Back all about? For the cost of one yoga class, you can change a life.” Yoga Gives Back (YGB) started with this mantra in 2007. We want to express our gratitude for the gift of yoga by giving back to the country that gave us yoga. We benefit so much from the practice of yoga and its popularity is growing to generate an astonishing 27 billion dollars in the US alone. However, 75% of the population in India, birthplace of yoga, still suffers from acute poverty, living under $ 2 a day. This is too lopsided to be indifferent about. “Yoga” means “to unite,” and we want to connect to the people in today’s India. This is why we invite the global yoga community to raise awareness and funds so that we can empower impoverished mothers and children in India to build sustainable livelihoods. For the last nine years, I have been dedicating myself to Yoga Gives Back, which has been growing 35% per year since 2009. We are now funding nearly 900 mothers and children with micro loans and education funds, with a minimum of a five-year commitment to each person. Q. 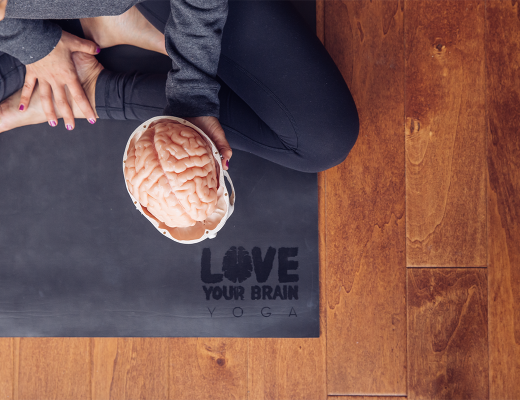 What inspired you to create Yoga Gives Back? My daily Ashtanga yoga practice and study about the philosophy of yoga was waking me up to realize that I should use my healthy and blessed self to serve others. “For the cost of one yoga class, you can change a life.” I shared the idea with yoga teachers, studio owners, and yoga friends, who passionately responded to this idea. It was 2007, and there was no organization in the yoga community who focused on giving back to India. I did not know this, but this is why I think many people started to respond very positively. It seemed that everyone was waiting for an opportunity to give back to India, but did not know how or where to start. Thus YGB was born. I also read around this time from one of the philosophy books that stated “the first part of your life is to experience and learn, and the second part of your life is to give to others.” This really resonated deeply in my heart. In my twenties, I chose my career as a documentary filmmaking at NHK (Japan’s National Public Broadcaster) to share the voice of voiceless and challenge the injustice in the world. Twenty years later, I came to realize that I want to dedicate myself really to give back to others who are in need. Yoga woke me up. Q. What has been most rewarding with your work through Yoga Gives Back? There is an extremely precious rewarding experience which I did not even anticipate when I started YGB. With this work, I get to visit and learn the real stories of our fund recipients in India regularly which I also film. All of them, nearly 900 of them today, have come through very difficult life situations due to acute poverty and related socio-economic issues. But, what I did not expect is to receive pure generosity from them. Orphan children draw beautiful cards to thank us with loving and touching messages, and remote rural poor mothers will gather in a village to cook the best lunch dishes for our visit. In West Bengal, there is a tradition to treat guests as Gods, and they really welcome and treat you like you are family or God. Whenever I go to india, Saint Francis’s quote comes back to me, “By giving, you receive.” This is the best reward I receive each time I go to India and meet them. As a transaction, we send money to support them, but I receive something much deeper money can not buy. This is also why I continue to film their stories so that I can share their real emotions, hardship of the past and appreciation and hope for the future in their own voices. Q. What has surprised you most through your work with Yoga Gives Back? I did not expect YGB would grow so big globally. Today, YGB is in seventeen countries, where the volunteer yoga teachers or students host fundraising classes and reach out to their local community every year. It is part of our mission to mobilize the global yoga community, but what I did not expect also was to gain great sisters and brothers all over the world. I have never met most of the volunteers in these many countries and we continue to communicate mainly by emails. Whenever I meet any of them in person for yoga events in Hong Kong, India, the UK, or Japan, I immediately feel as though I have known them for a long time as great friends. This is a real asset to YGB and my life. I have gained such a great network of like minded yogis who truly share our mission to give back and support other people’s lives. YGB’s global community is consisted of the most compassionate and selfless people I have ever met, and it is really encouraging and inspiring to know there are so many people in the world who act for others like them, especially when there is much violence in this world today. I believe strongly that YGB global community is seeding great positive changes not only in Indian villages but also in our own local communities. Q. How can someone get involved with Yoga Gives Back in a way that will make a tangible difference in the lives of others? There are a few different ways to get involved with YGB. First, anyone can host or organize an awareness+fund raising event or class any place. Secondly, we invite everyone to become YGB’s monthly sustaining member by just donating the cost of one yoga class per month for example, $15 a month enables a poor mother to start her own income earning business or a poor young girl to stay in school to avoid early child marriage or labor. It does not cost much to make a significant difference in somebody’s life in India and I invite every yogi in the world to take part in this campaign. Q. What’s next for Yoga Gives Back? What do you hope to accomplish? Whom do you hope to reach? As an avid yoga practitioner in Los Angles, Kayoko founded Yoga Gives Back in 2007, a non-profit organization to express our gratitude for the gift of yoga by giving back to India. Inspired by micro financing revolution of Nobel Peace Prize Recipient Dr. Muhammad Yunus. Kayoko realized, “for the cost of one yoga class, you can change a life”. With 15 dollars a month, an impoverished woman can start a business or a disadvantaged child can go to school. Today, YGB provides nearly 900 mothers and children with micro loans and education funds with a minimum of five-year commitment to each person. This rapidly growing global campaign has volunteer representatives in the major US cities, as well as worldwide including China, Canada, Dubai, Hong Kong, Italy, Israel, Japan, Singapore, Thailand, Netherlands, and the UK. YGB’s global community continue to raise awareness and funds through their events in more than fifteen countries. Prior to moving to the USA in 1992, Kayoko was a producer/director for NHK Japan’s National Public Broadcaster in Tokyo, working on primetime current affairs and documentary television programs for seven years; and cultural attaché at the Embassy of Japan in London for two years. Her passion for documentary filmmaking is rooted in the perspective gained from years of living abroad including Australia, Brazil, United Kingdom and USA. 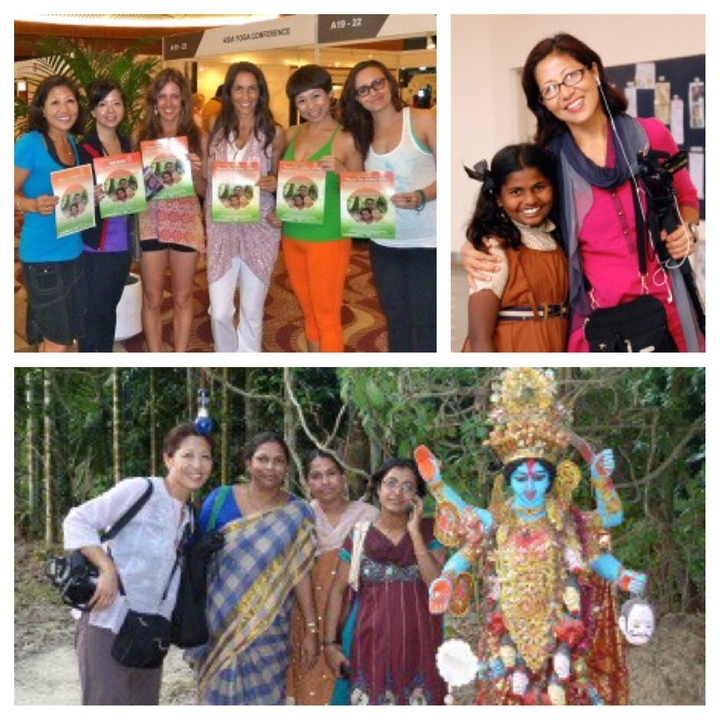 Kayoko now uses her talent in Yoga Gives Back’s work filming its fund recipients and share with its yoga community in the world as YGB FILMS. For the last over twenty years living in Los Angeles, Kayoko continues her work for NHK’s feature documentary programs as an independent producer/director. Inspired by Kayoko’s story and the incredible organization she created? Please join us on Saturday, August 20th at 11am for a 90 minute class with Chad Hamrin.